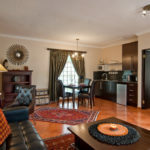 Aquanzi Lodge a 4 star establishment which offers luxury, bed and breakfast and self-catering accommodation to visitors in Johannesburg, Gauteng, Fourways. 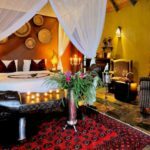 Aquanzi Lodge has free stranding, thatched chalets and non-thatched Suites which are elegantly decorated with an African flair. 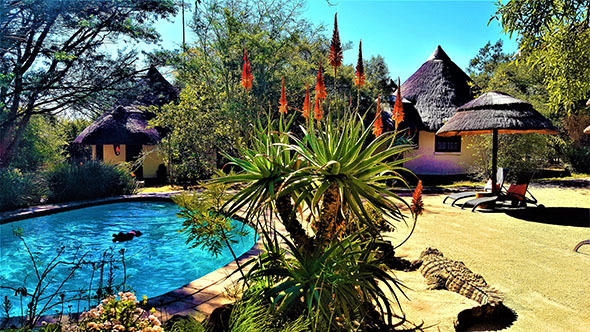 The surrounding aloes, acacia trees, abundant bird life and free roaming guinea fowl, further contribute to the restful bush-like atmosphere at Aquanzi. 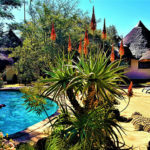 There are 2 sparkling salt water pools situated at the establishment. The chalets overlook a beautiful pool surrounded by white beach sand. At the Pool terrace the solar heated pool entices guests to enjoy a swim, or just have a cocktail & snack. We pride ourselves on providing meticulous personalized service and invite you to come and enjoy a truly satisfying, 4 star stay!